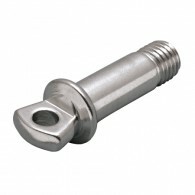 This shackle pin is made from grade 316 stainless steel for maximum corrosion resistance and durability. It is offered in a variety of sizes from 1/4” to 1-1/4” and is compatible with chain and anchor shackles. 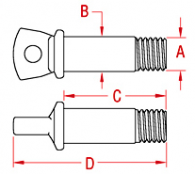 This pin is ideal for use as a replacement shackle component. Your one-stop-shop for high quality Marine and Industrial Stainless Steel products!